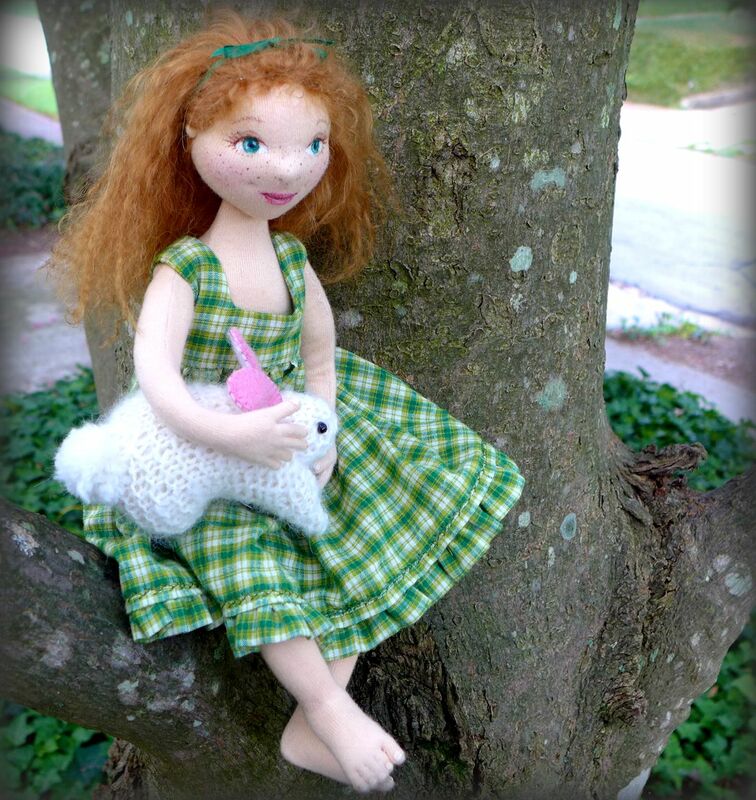 Mia loves her bunny Alice and spends as much time with her as she possibly can. She likes to whisper secrets into her long soft ears and read her stories and comb her soft soft fur. 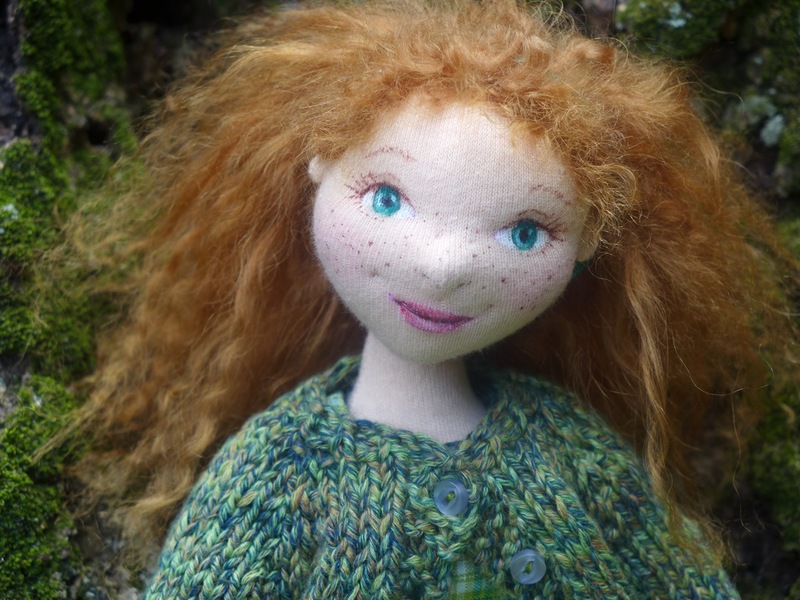 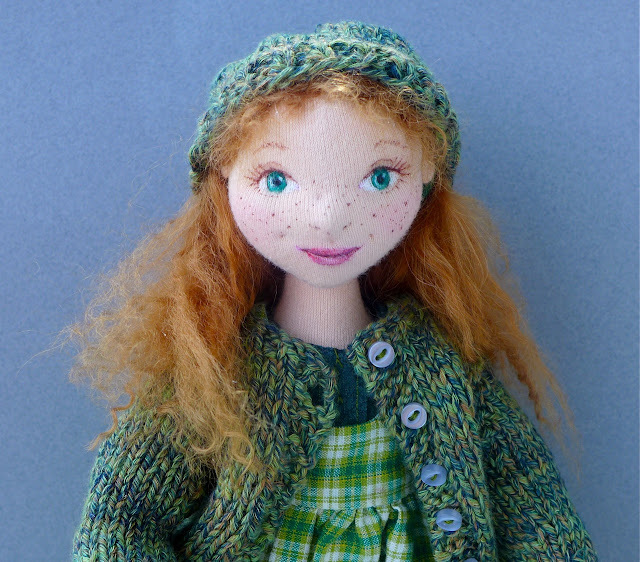 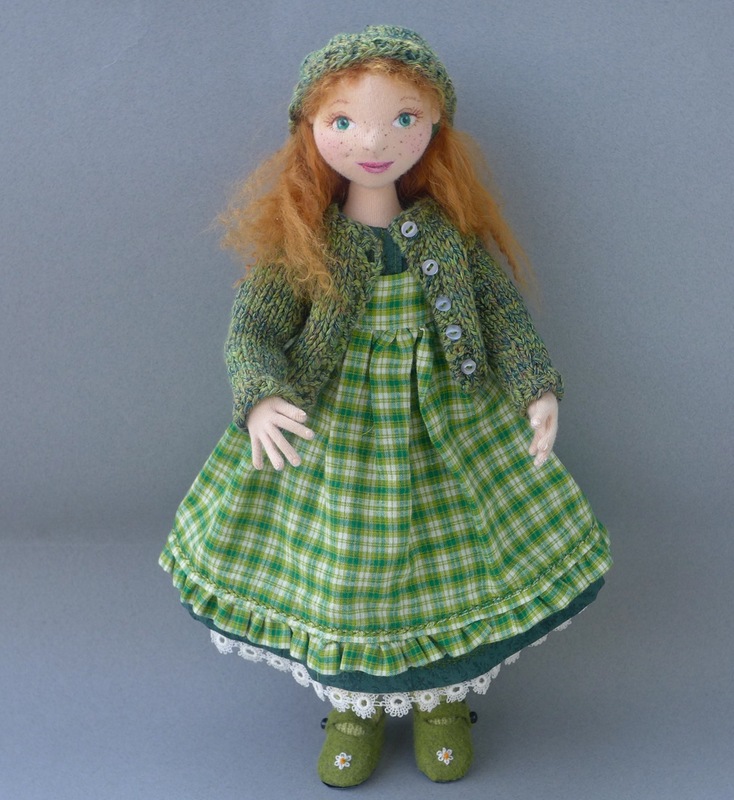 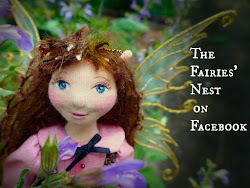 Mia is a one of a kind cloth doll made from natural fibers, no clay molds or masks, with a wire armature. 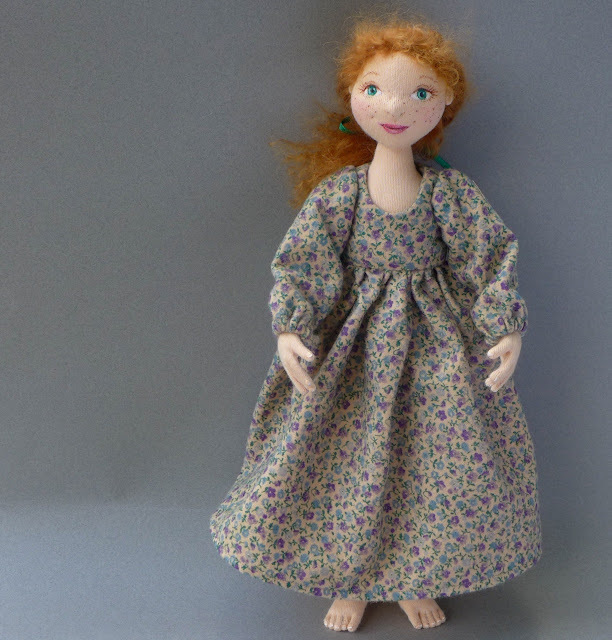 She comes with a petticoat and undies that are both trimmed with vintage lace, an embroidered dress, a ruffled pinafore that doubles as a sundress, embroidered shoes, and a flannel nightgown. 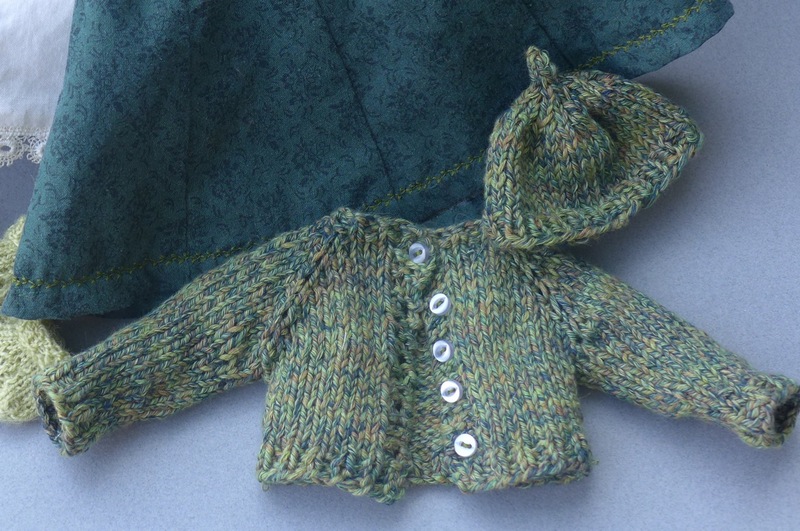 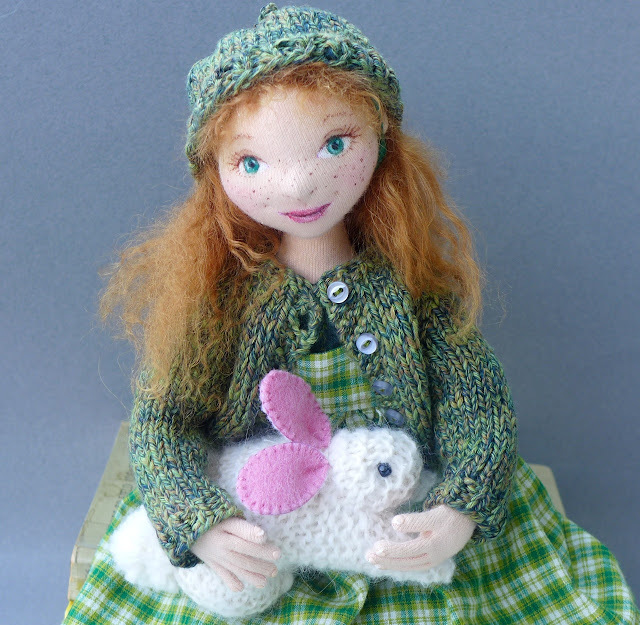 She also has a hand knit sweater, hat, and socks. 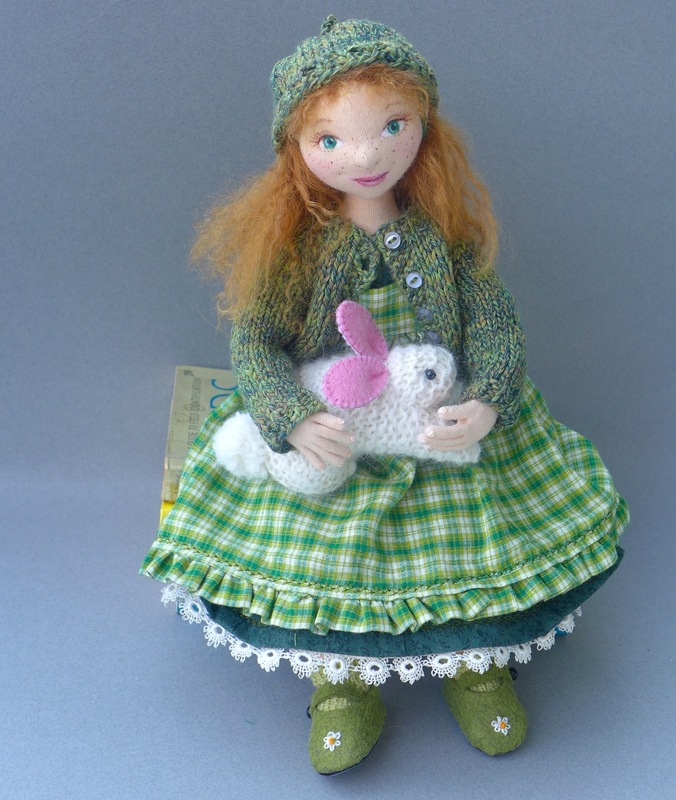 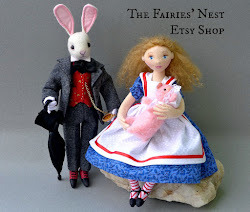 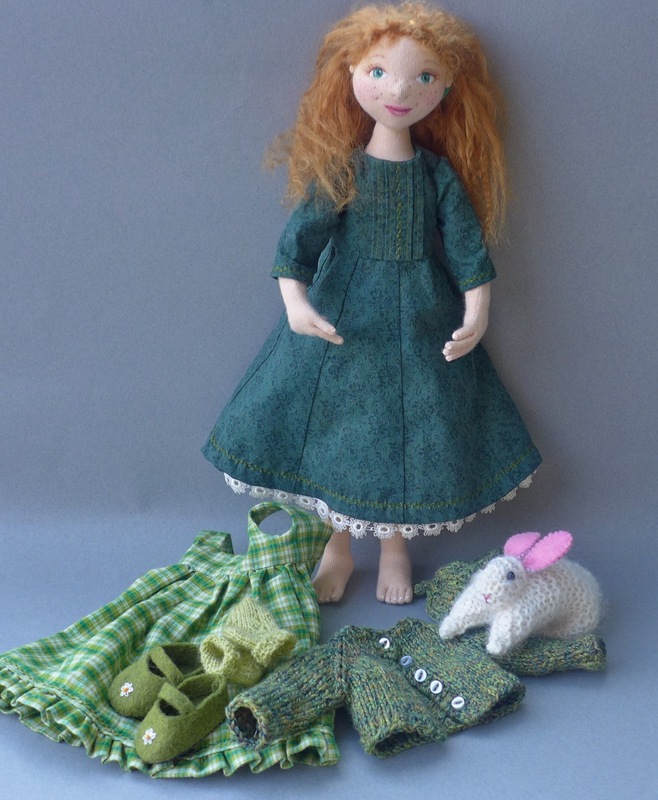 Her bunny, Alice, is knit from 100% hand spun angora and stuffed with wool. 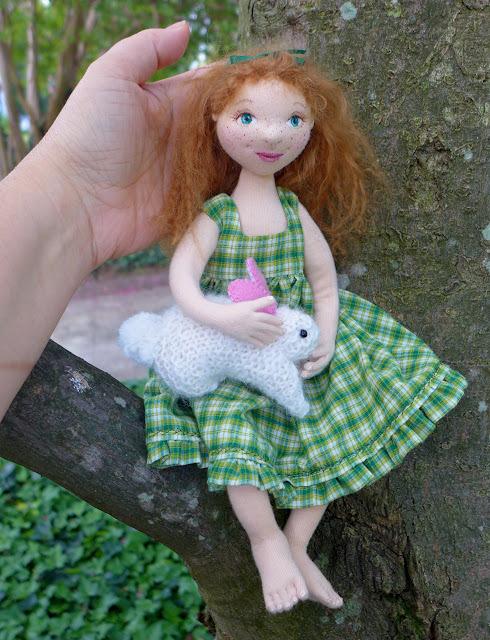 Mia is an art doll and, because of many small parts, is not for young children. 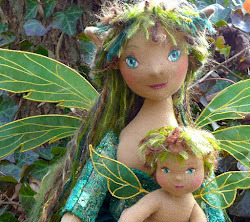 She would however enjoy gentle play with an older child.